Tips for keeping donation garden produce food safe during the stages of growing, harvest, and transport. 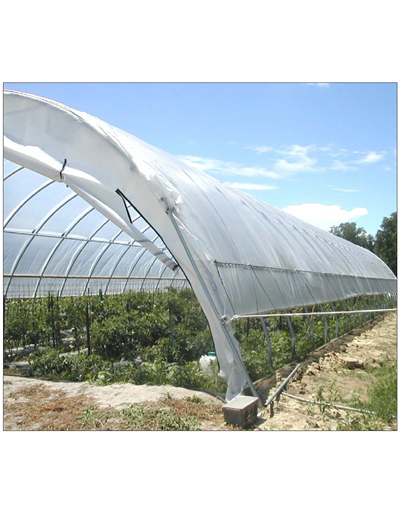 This self-directed, online course covers all aspects of constructing, owning and operating a high tunnel. Throughout the course, you will learn how to properly select a site location, test your soils, determine what crops to grow in your high tunnel, expected costs and potential returns from your high tunnel and resources to help in the process. Each section of the course includes a worksheet for feedback from the course coordinators specific to your own operation. Research shows that a nutritious diet helps children learn better, and that kids are more likely to try and enjoy fresh vegetables and fruits if they helped grow them. School garden programs provide a unique opportunity for students to grow fresh vegetables, eat healthy food, and share their harvest with the rest of their school district by donating or selling it to the school cafeteria. To assure the food safety of the vegetables harvested from school gardens by students, schools should implement food safety protocols for their school garden activities. This publication contains sample protocols for schools to use as they design best practices for their school gardens. These protocols are adapted from federal and state guidelines for Good Agricultural Practices (GAP) and Good Handling Practices (GHP). Many gardeners produce excess vegetables during the growing season. Some preserve their surplus vegetables for later use, while others give friends and neighbors the extras. Another option for using this excess produce could be a local food pantry. 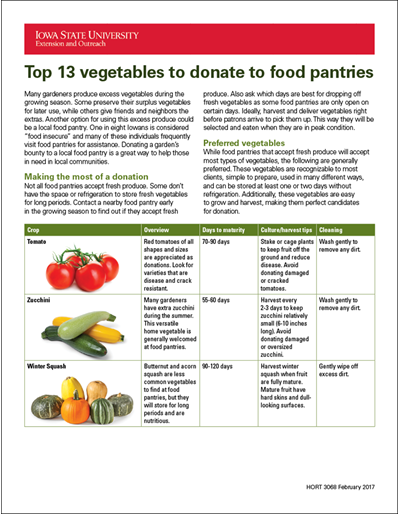 This publication discusses 13 vegetables that can be donated to food pantries and tips for growing and harvesting those vegetables. As hop production returns to Iowa, growers are wanting more information on producing healthy and abundant harvests. This publication discusses the best practices for designing and constructing a hops yard. As hop production returns to Iowa, growers are wanting more information on producing healthy and abundant harvests. This publication discusses the best practices for selecting a site to grow hops and how to plant the crop. 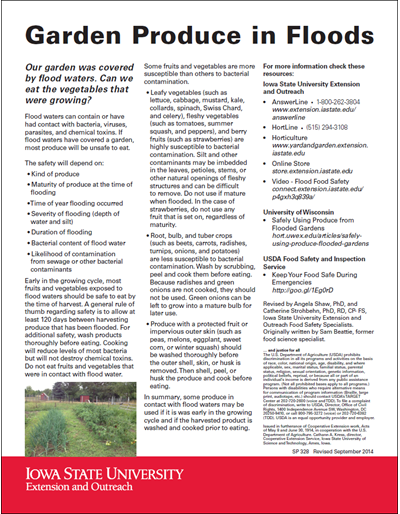 If flood waters have covered a garden, most produce will be unsafe to eat. Several factors determine the safety of unharvested fruits and vegetables. Identifying and encouraging naturally occurring predators and parasites is a useful gardening skill. This fact sheet describes 10 beneficial insects and also offers other tips for preventing insect and disease problems. 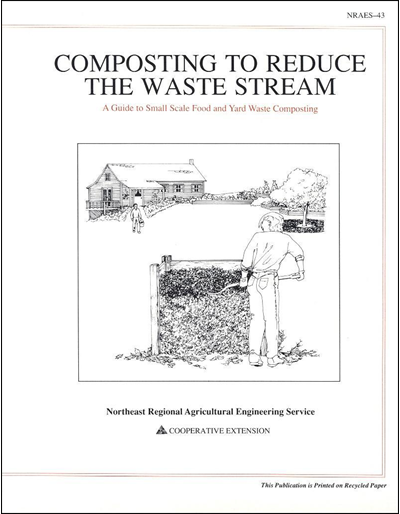 Explains the materials needed for a compost pile and includes construction directions for building a 3-bin composting unit. Pesticides must be applied at the labeled rate to achieve consistent results. Taking the time to properly calibrate the sprayer can improve the performance of the product, diminish the possibility of injury, and reduce pest control costs. Rain gardens collect and filter rain water to improve storm water management. They also can provide an attractive habitat for birds, butterflies, and beneficial insects. When choosing which organic mulch to use, consider availability, cost, appearance, function, and durability. Includes information on using bark, cocoa-bean hulls, corncobs, grass clippings, leaves, newspapers, pine needles, sawdust, straw, and wood chips. Zone maps are a gardener’s best tool for selecting plants that will do well in local gardens. This publication includes information about and how to use the USDA Plant Hardiness Zone Map and the AHS Plant Heat Zone Map. Hiring a landscaper can be a daunting task. 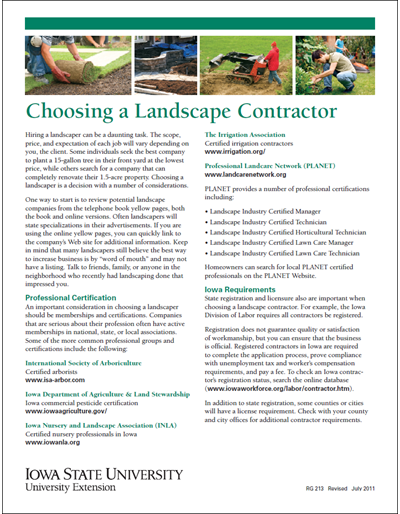 This publication provides information on professional certification and other requirements in Iowa, and topics to discuss with potential contractors. Tree work should be performed only by a properly trained and equipped arborist. 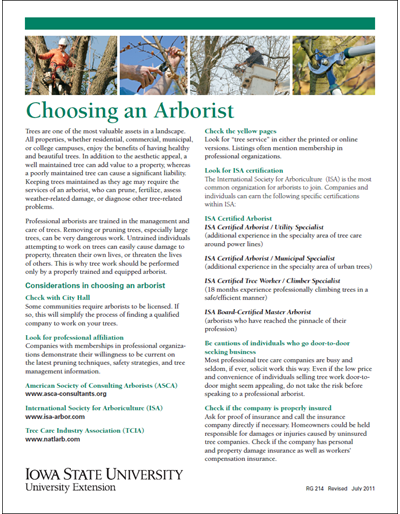 Considerations in choosing an arborist include certification, insurance, references, contracts, etc. 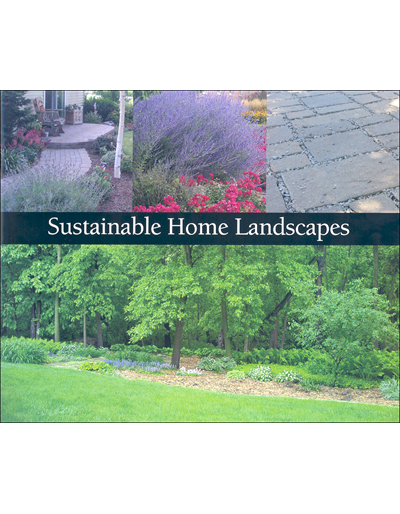 Sustainable landscapes require less time, money and other resources. 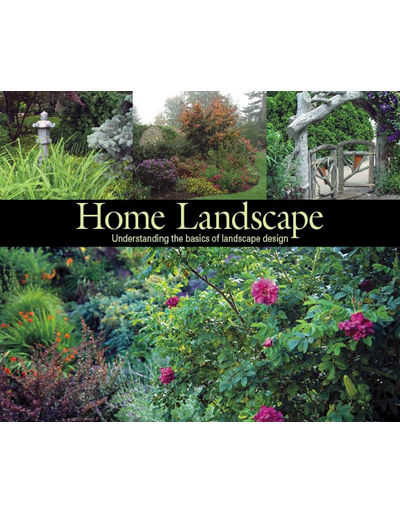 This book provides information on creating an environmentally friendly, economically feasible, and beautiful landscape by placing the right plant at the right place. Water gardens are appealing to many, but the climate in the Midwest presents some specific challenges. 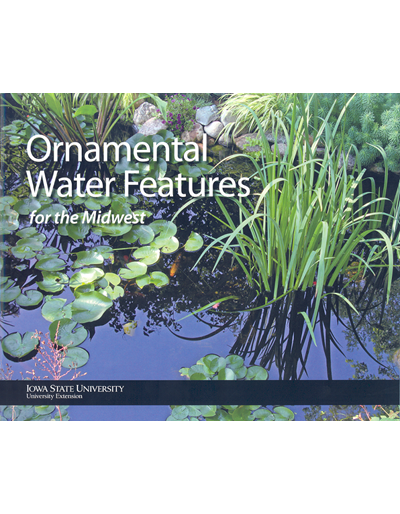 This book examines the many considerations to building a water garden in the Midwest and includes basic guidelines for construction, maintenance, and selecting plants. This publication outlines a process and the resources needed to help establish prairie to be used as an outdoor classroom. Such a classroom can be used to educate elementary through high school aged students about science, math, language arts, social studies and the arts. Learn to properly maintain your garden all year round. 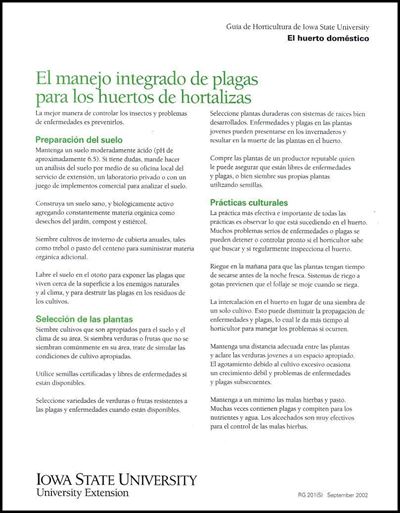 Includes information on what steps to take with your lawn, fruits, trees and shrubs, flowers, herbs, houseplants, and/or vegetables in the early and late part of each season. 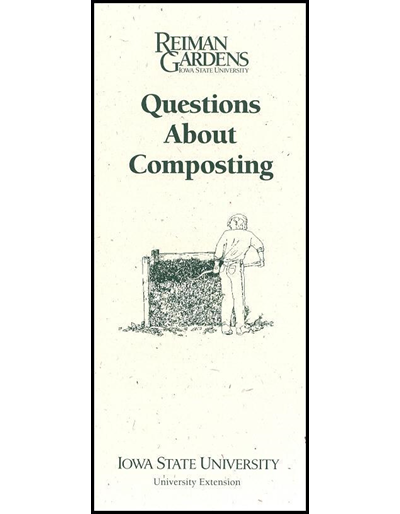 If you are starting a compost pile in your yard or garden this year, this publication answers a few of the commonly asked questions about composting. Starting and maintaining a water garden of any size inevitably brings questions. Find answers to the most commonly asked questions here. 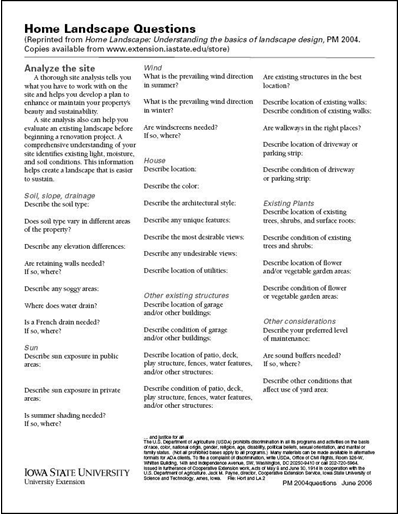 This worksheet will guide you through the process of designing a functional landscape plan -- from gathering the right information to refining the preliminary design and selecting plants. Includes graph paper and 2-part questionnaire. Raised beds and planters make gardening accessible for gardeners of all abilities. Use this information to decide where to put your bed or planter, the materials that will be needed, and the types of plants to consider. A 2-part questionnaire helping you analyze your landscaping site and to assess your family's needs and wants for the project. 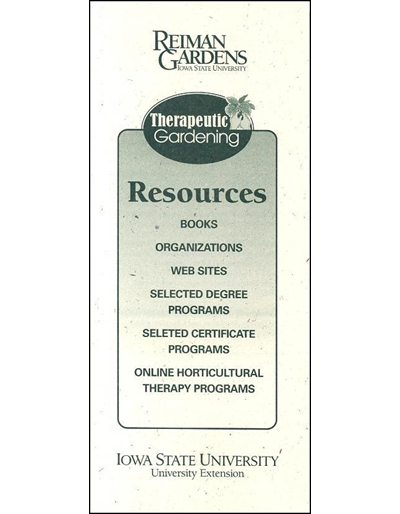 Resource list for making gardening easier and more accessible, including books, organizations, websites, and selected educational programs. 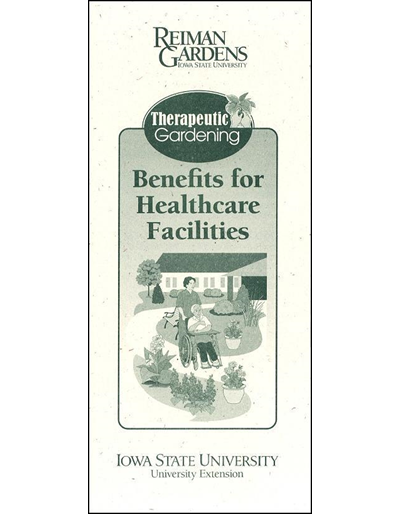 Therapeutic gardens for healthcare facilities benefit residents, staff, and visitors. Find out details of how to plan and maintain these features. 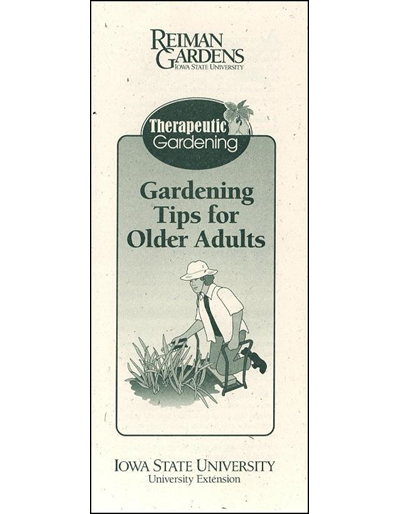 Here are descriptions of several simple ideas and inexpensive tools that can help people continue gardening as they grow older. Manage your garden soil more effectively. Learn about tillage, integrating organic matter, soil testing and pH, fertilizer application and more. This publication contains contact information on self-identified organic agriculture experts from 42 states and several countries around the world. 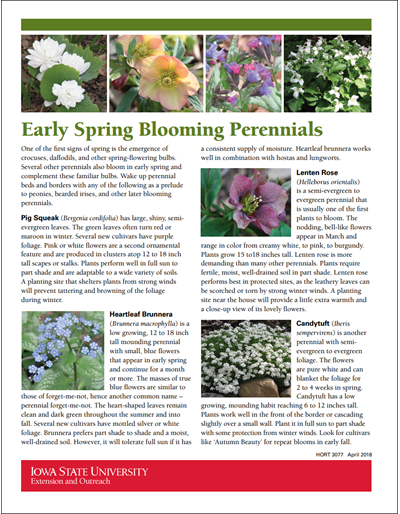 Learn how to start annual flowers and vegetables at home, to enjoy them earlier in the growing season. 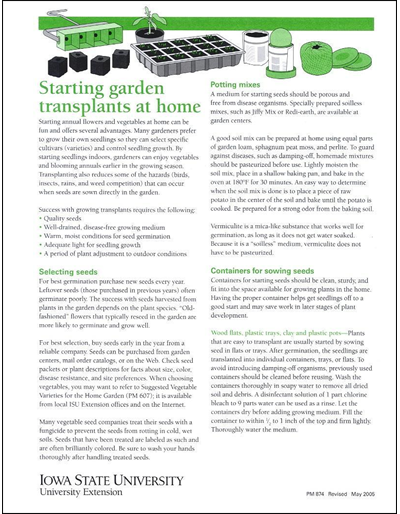 This publication tells you how to select seeds; choose potting mixes, containers, and seed; and later move seedlings to the garden. 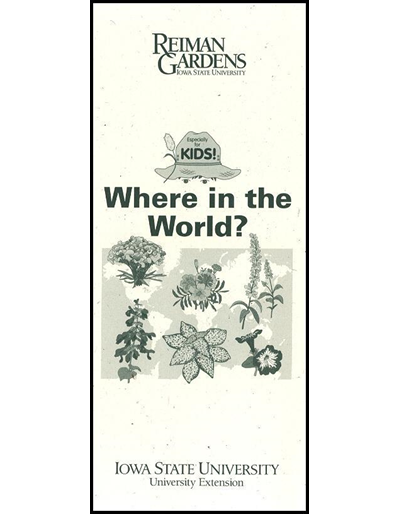 Encourage children to explore the Reiman Gardens to find plants that are native to other countries. Then they can check off each plant that they find on the included map and draw a line to its native country. 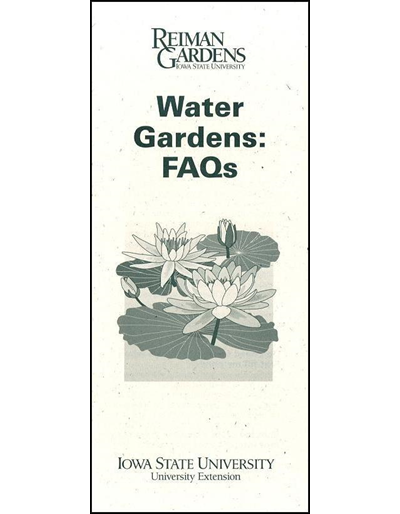 Learn how to start a water garden. Topics include plant selection, floating plants, submerged plants, shallow marginal plants, deep water plants, planting methods, and fertilizing plants. Publication discusses what pollination is, common pollinators in Iowa, and how to attract pollinators to your garden. Many gardeners are concerned about unusual gray-green growths on tree trunks and branches. 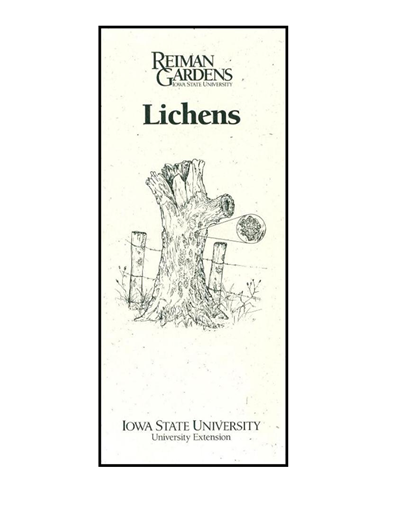 Learn more lichens, where they are found, and their different types and uses. 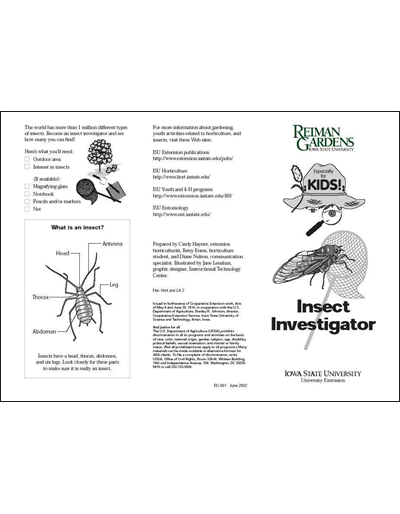 Learn how to keep an insect investigator journal and see how many of the world's one million different types of insects you can find. Discover the many plants that have been named after animals. Public gardens, such as Reiman Gardens, have several of the plants described here. Learn more about a fascinating insect behavior viewed in the home garden—nectar feeding by large, dark moths (sphinx moths) that look like hummingbirds. Tips on using mulches to maximize benefits and avoid pitfalls. 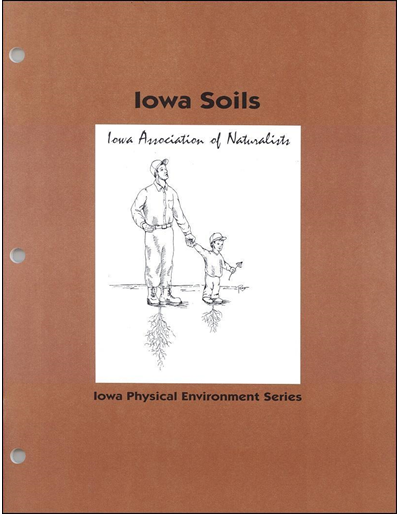 Find out more about Iowa’s “black gold” including the particles it’s made of, how to identify the different soil types found in Iowa, and soil conservation techniques to preserve it. Botanical insecticides are naturally occurring insect toxins extracted from plants. Several have been formulated for insect management in the home garden. Learn more about the pluses and minuses. Learn about local morels and fungi. 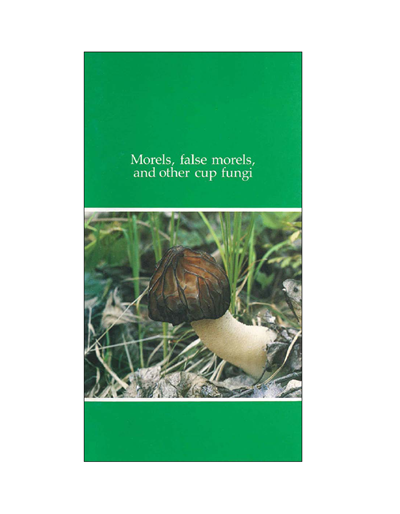 Including many pictures to help you identify morels as well as information on safe use of fungi as food. 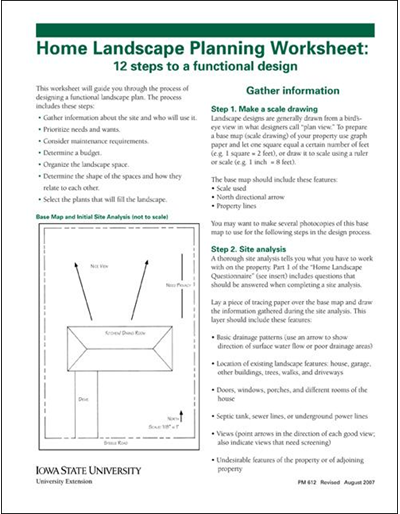 Intended for home composters and educational programs, this guide contains figures, tables, and diagrams clarifying the details of home composting. An appendix provides step-by-step instructions for constructing compost bins. Topics within the guide also cover: raw materials, the compost process, composting methods, pile construction, using compost, troubleshooting, and using the guide as an educational resource.